People often ask me how I have managed to get my hair so light without damaging it. Well, the key is a good and clever colourist who will gradually lighten your hair without colouring every last strand. My hair has had so many lives – it started off dark (of course) but I have been colouring it since I was very young. It started as highlights and progressively became lighter over te years as I started to go crazy with the dip dyes. My last post about Headmasters will give you the background. 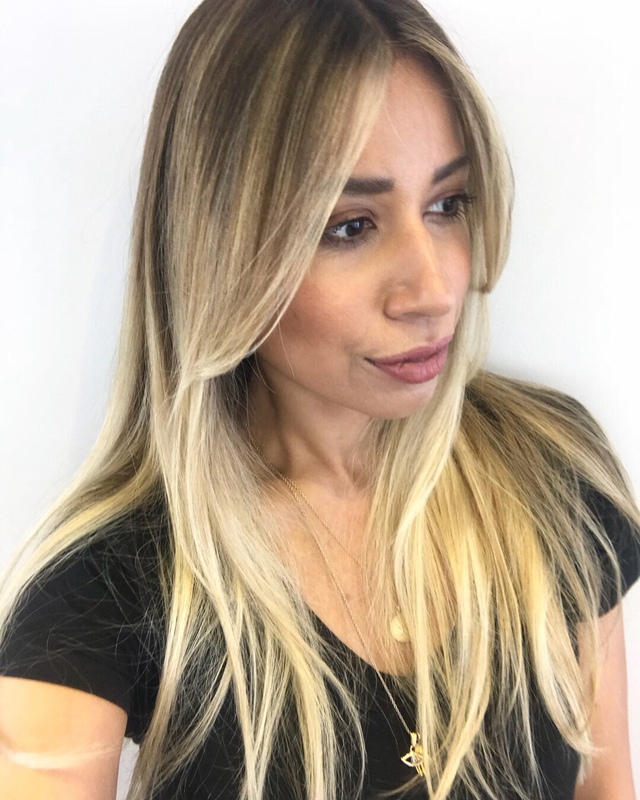 Even though I loved that edgy, grown out blonde with dark roots, it just wasn’t sustainable, I couldn’t afford to keep it up and it was damaging my hair. The last time I went to Headmasters (in March), my amazing colourist Siobhan explained how I can go even lighter without having my hair coloured so frequently. She created a look below which has darker roots. I knew I was going back to see Siobhan after a few months as we had planned to finish off the back. When I went back into the salon May, she explained that she was only going to lighten some section from the back and work on the front of my face again. My hair will look lighter, and appear coloured all over with the blending but it will remail healthier as some of my hair will not been touched by bleach. The technique Siobhan used was by colouring the front and top in between the highlights she did last time. This helps to create the merge from the last Balayage to ultimately lighten the whole front part of the hair, making it appear lighter. Its still better for your hair as its not a solid colour. To make my hair blonde, a pre-lightner was used slightly closer together and towards the face to make a contour. So, contouring for the hair is the same as the face – just like a highlighter, the lighter parts which catch the light make the hair stand out and give it more definition. The colour that lifted was the area that was done last time so it coloured faster and there’s no stripy block of colour, making it blends together, gradually getting lighter. The back of my hair was different. Siobhan scattered chunky highlighter at the back in foils to get more lift and applied as if it was Balayage. She put in foils to get the same lift. In between the foils she painted on balayage with pre lightener for a golden multi tonal colour .All the colour added with a smart bond to protect the hair from damage as its coloured. So the secret to going lighter with minimal damage is to not colour the whole hair. Tricks that your colourist can use such as contouring will give the illusion of an overall lighter look. Do it in stages, over a few years and if your hair can handle it, you can go lighter on the ends. Always remember to use professional products and hair masks.